Services for people with life-limiting diseases, including COPD, dementia and heart failure are under-developed and fragmented in Ireland. 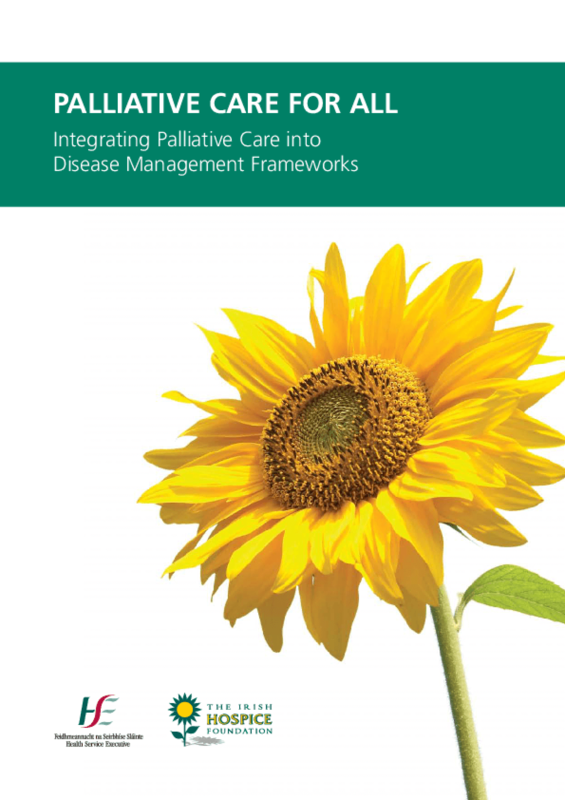 There is no mention of the need for palliative care for people with life-limiting chronic diseases in the few disease-specific reports and documents available. The decision to select these three diseases for the purposes of the Extending Access Study was informed by the following: they are among the highest mortality rates in Ireland; research has indicated that people with these diseases have palliative care needs that are at least equal to those who have a cancer diagnosis and disease advisory and strategy groups in these areas established by the HSE Transformation Programme will be informed by the findings of this study. Copyright 2008 Health Service Executive, Irish Hospice Foundation.